Speaking of fruits, you know that fruits are a nutritious dessert, an excellent option that we should consume every day if we want to strengthen an iron health. But what are the healthiest fruits? . Do you want to know what they are? 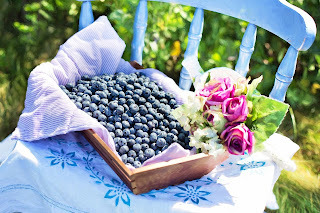 Like all berries, blueberries are very rich in antioxidants and ranks first on our list. They should be consumed every day, since they can prevent mental problems related to aging, such as Alzheimer's and Parkinson's. By drinking a daily cup of Cranberry juice, you have a very high chance of preventing infections of the kidneys, prostate, urethra and the entire urinary tract. Many studies have shown that Blueberries not only provides eye protection but also prevents numerous eye diseases. Its anti-inflammatory properties help to improve the appearance of the skin. These are some examples of the benefits provided by Blueberries.